Pile Tab, part of the Pile Possibilities Collection, is a uniquely designed tool for the ever-growing need to manage paper piles. Contemporary acrylic organizer is designed to easily divide and identify the contents within a pile of papers. Simply place the organizer within the pile to divide it into relevant sections. The tab cutout on the side allows easy viewing and labeling of the pile contents. Each package includes one left tab and one right tab. Pile Tab also offers support to control sliding piles and establishes a quick reference guide to pile content. 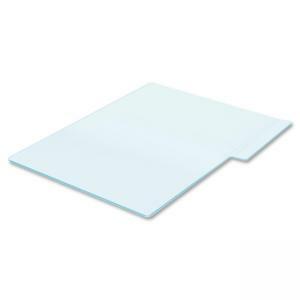 Pile Tab is made of durable acrylic material.